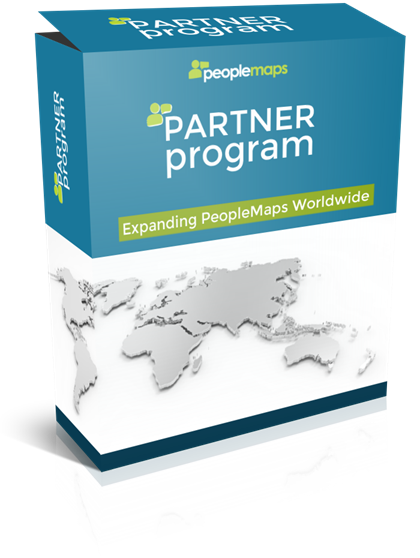 Tap Into The Multi-Million Dollar Personality Profiling Market Today, With The PeopleMaps Global Partner Program. Try It For FREE. Worldwide Opportunities. Places Are Limited. Fast track training course, delivered online via video will have you talking to your first customer within hours. Every organisation that is recruiting is a prime target. Partners enjoy special pricing, even on small orders. “I have been a user of DISC profiling for over 10 years in my HR Director and now consultancy roles. Whilst it has been very helpful for my clients I found it was overly labelling – making people slot into pigeonholes rather than concentrating on the individual. I also found it frustrating keeping track of our usage and costs. Yes. PeopleMaps gently insists that you read one of your own personality reports before committing to anything. The free trial period will enable you to judge the accuracy of the reports for yourself and see just how easy the Control Room is to use. It also familiarises you with the candidate experience. We are confident that you will find PeopleMaps to be incredibly accurate. We have many happy, repeat customers. This is a professional profiling system that has been tried and tested on over 1.5 million people. The algorithms have been refined for almost twenty years and it has been tried and tested by thousands of organisations worldwide. What training will clients require? One of the things that clients love about PeopleMaps is that the reports are written in plain English. Your clients will be able to use the reports as soon as you hand them to them. No training is required to interpret the reports, as no interpretation is required. What training do Partners require? PeopleMaps provides Partners with a fast track training approach so that you can start talking to clients within a couple of hours. Some products are easier to explain than others. PeopleMaps will provide you with more advanced training to deepen your knowledge as time goes on, however, you do not need to know everything to start earning with PeopleMaps right away. The training is all included for FREE as part of your Partner license and it is delivered online via video, so you may do it at your own convenience. Do Partners need to buy stock? No. There is no minimum order level so you only need to buy the stock you have orders for. As a Partner, you are entitled to special pricing, even on small orders. PeopleMaps will even provide you with stock credits in order that you can give free trials to your clients.